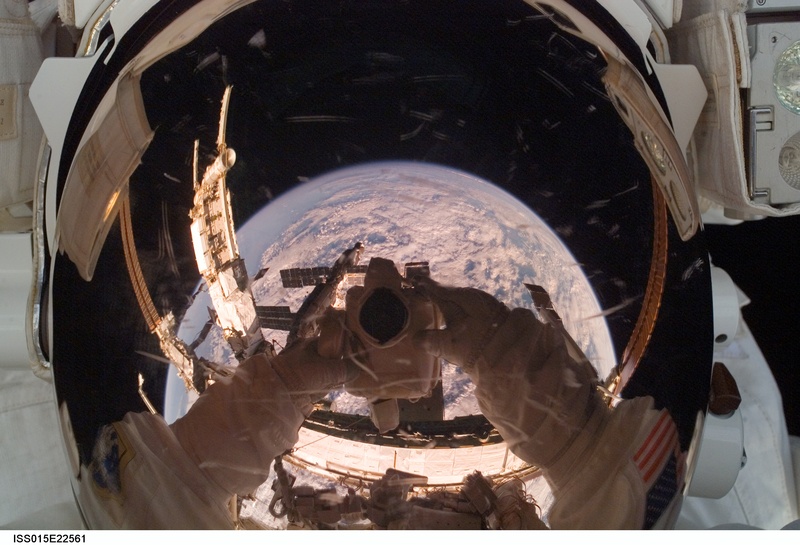 Explanation: Astronaut self-portraits can be particularly interesting. Visible in the above picture, working in from the outer borders, are the edges of the reflecting helmet of a space suit, modules of the International Space Station (ISS), the Earth, the arms of Expedition 15 astronaut Clay Anderson, and the digital camera used to snap the image. This picture was taken during the shuttle orbiter Endeavour's mission to expand the space station last August. 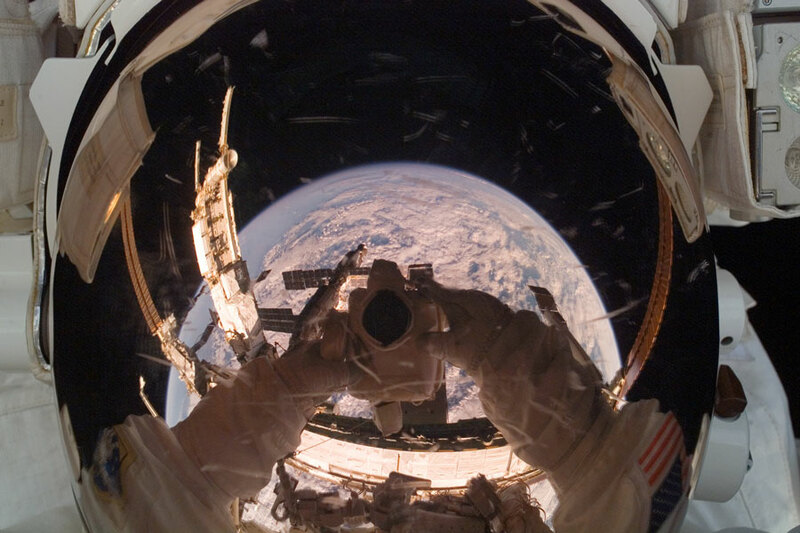 The large curvature of the Earth appearing in the visor reflection is not the true curvature of our spherical Earth, but rather an artifact of the curve of the space helmet. Earth's horizon appears only slightly curved when viewed from the height of the ISS -- approximately 400 kilometers. The next space shuttle mission to the space station is currently expected to take place next month and includes the installation of the scientific Columbus Laboratory.